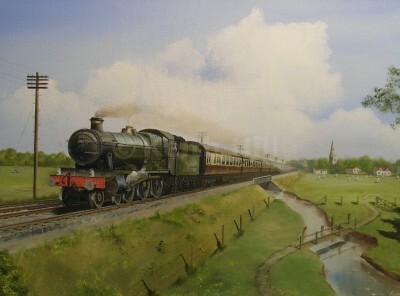 B-17 Class Locomotive ‘Kimbolton Castle’ on the line between Hunstanton and Kings Lynn. 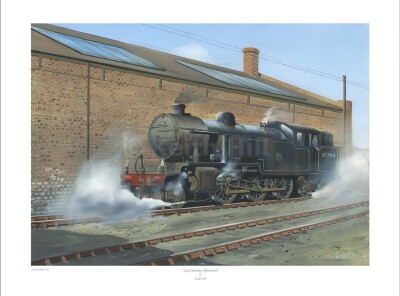 Class L1 locomotive acting as Station Pilot on a Sunday afternoon. 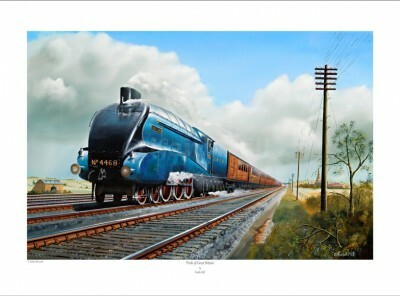 World Speed Record holding locomotive the Mallard. 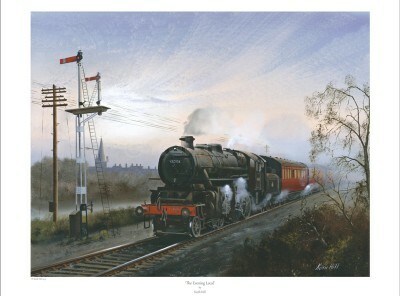 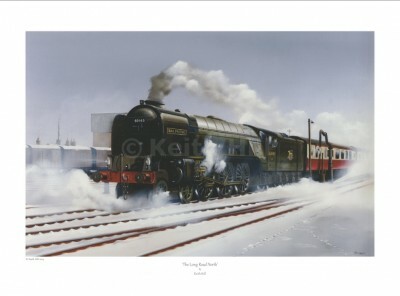 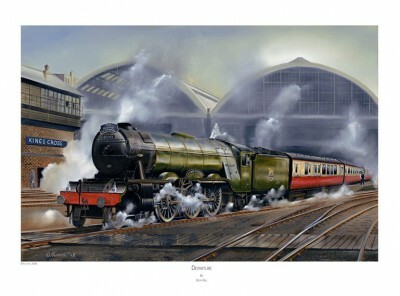 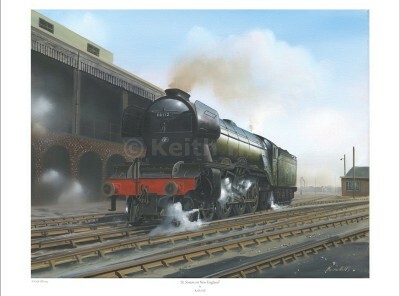 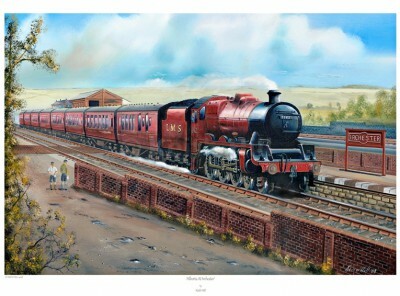 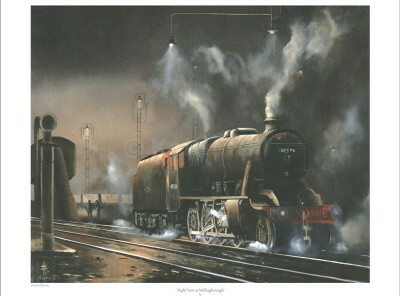 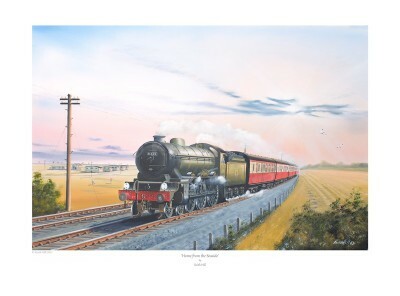 Royal Scot Class Locomotive passing Northampton Loco Sheds. 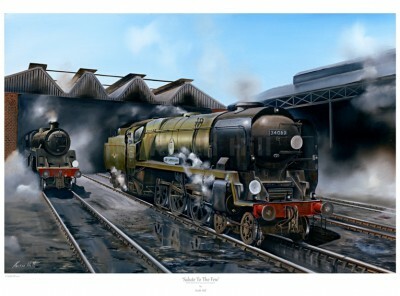 Rebuilt ‘Battle of Britain’ class number 34089 ‘602 Squadron’ rests on Bournemouth shed. 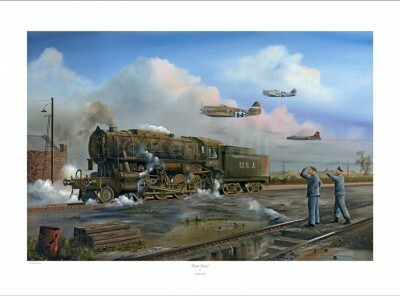 The first 40 prints comes with the original signature of Wg/Cdr Paddy Barthrop DFC, who flew Spitfires with 602 Squadron. 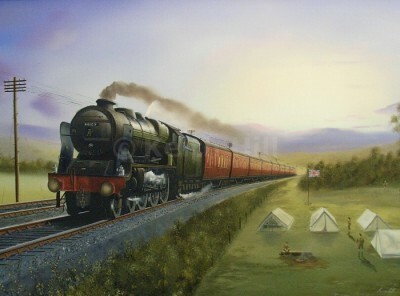 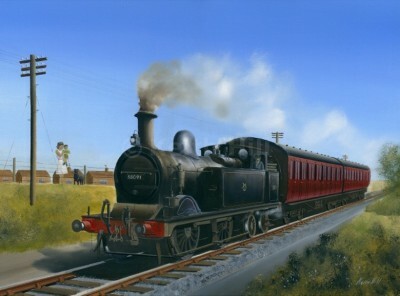 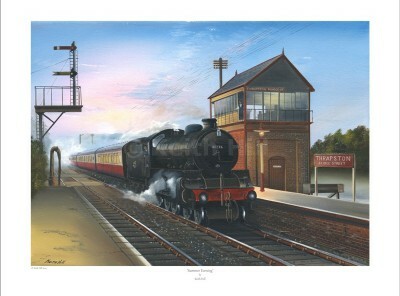 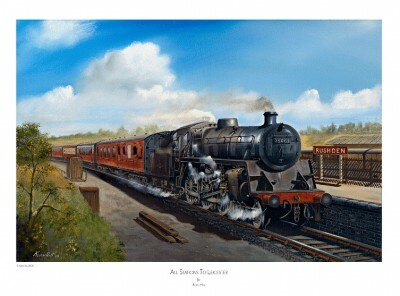 Former GWR Loco ‘Elton Hall’ heads North, away from the seaside, with a holiday special. 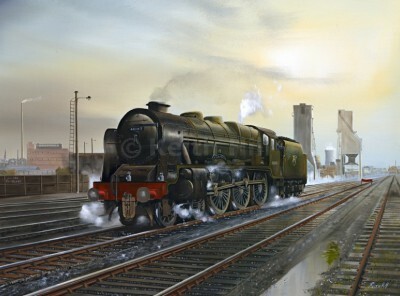 In the bitter conditions A1 Pacific ‘Balmoral’ pulls out of Peterborough station on its long journey North.